This story has been around for a long time, but it’s worth repeating. There were two brothers. One was the eternal optimist, and the other was never anything but a pessimist. The cheerful brother never fretted about the looming dark clouds, while the same clouds always dumped rain on the pessimist. The optimist, without trying, drove the pessimist nuts. And that unsinkable spirit drove the dark-cloud sibling to draft a scheme to pour rain on his brother’s annual Christmas wish—a pony. The happy-go-lucky brother, for as long as he could remember, had asked Santa for a pony. The fact that a pony hadn’t happened in the past didn’t stop him from dreaming about saddling up the next Dec. 25. Long before sunrise, the optimist’s eyes popped open. He couldn’t wait to gallop downstairs to see whether Santa had granted his wish, but he waited and waited for the sound of his parents’ footsteps in the hall. And when he heard them tiptoeing past his room, the optimist bounded out of bed. His brother, in the other bed, scrambled up, too. The pessimist wasn’t about to miss the anticipated frown on Sunny Boy’s face. The threat of Republic’s plan to dump millions of tons of toxic coal ash in Broadhurst has been a call to action and a test of the willpower to remain optimistic. Twenty-three months ago, you and I were told, “There’s nothing you can do.” After all, the largest shareholder in Republic Services Inc. is Bill Gates, the world’s richest man. Despite the modern-day David-and-Goliath battle, I am determined to remain optimistic. I am grateful so many of you feel the same way. Wayne County should not become a sacrifice zone, courtesy of corporate greed. Where are the ethics and fairness in solving the coal-ash problem of others by creating an environmental problem for Coastal Georgia? 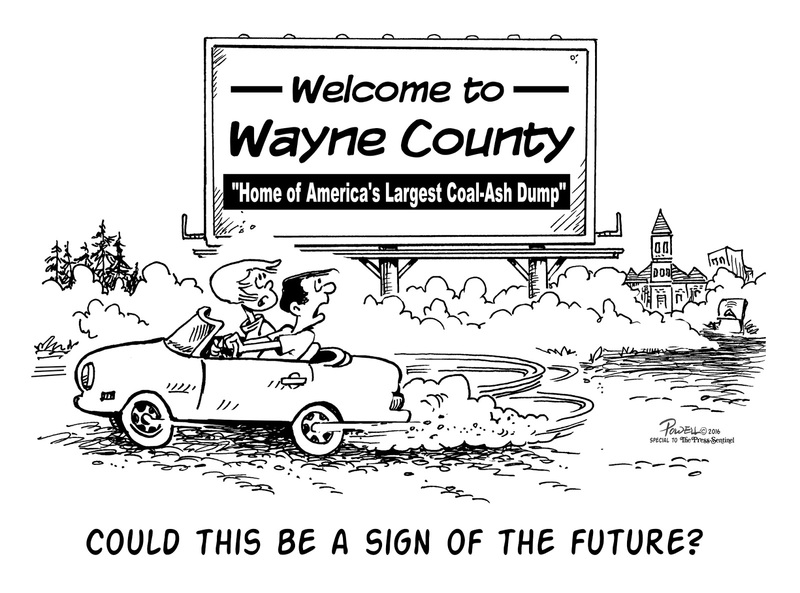 Some people fear all this negative publicity will harm Wayne County’s growth potential. How about this? If our community’s future claim to fame is that we rolled over and let Republic turn us in to America’s biggest toxic coal-ash depository, consider the downside of that possibility. 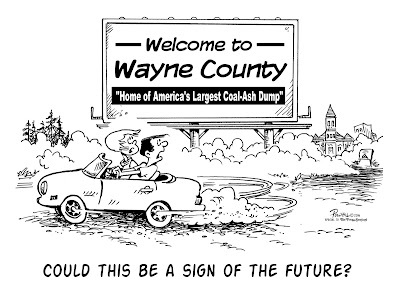 Wayne County doesn’t deserve those mountainous piles of pony poo … errrr … toxic coal ash on our good name.